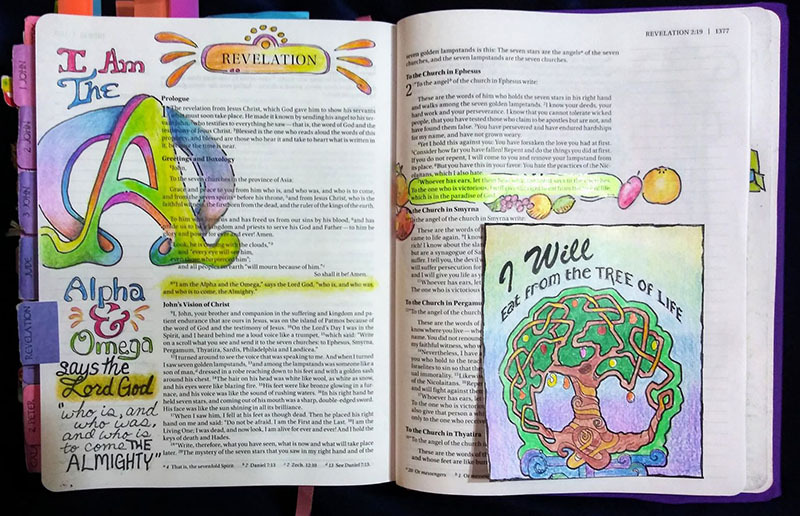 One Page of Elements for Four Stories in Revelation! 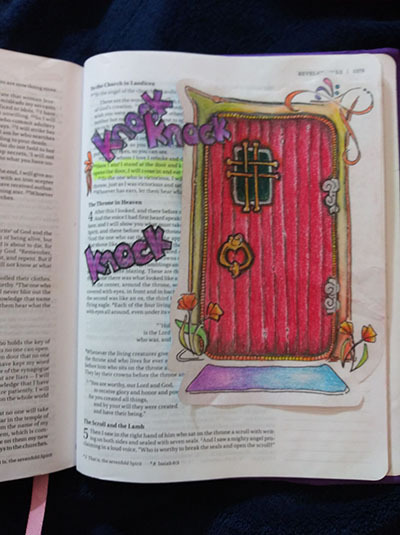 Whether you TRACE it in, or TIP it in… add these elements to your bible pages to add boldness to God’s Word! Okay, if you have ever said “I can’t do that….” then THIS is the activity for you. We GIVE you the artwork in the form of a download printable. 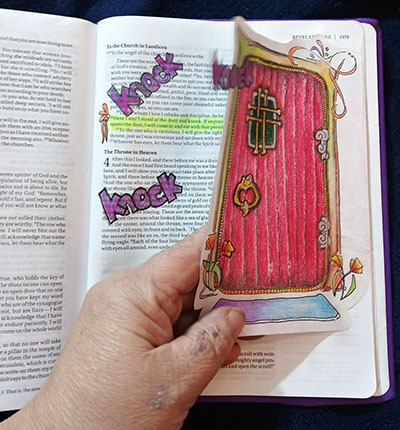 Just print and then your choice of adding that paper to your bible, or trace it with a light tracing pad (Amazon ad is at the bottom of the page for the best inexpensive tracing pad). Either way, working with CBJ Elements is the easiest way to get images in your bible. So, be bold and have fun! Enlarge or Reduce the size to fit your needs by changing the settings in your Printer Preferences. I have included Amazon ads at the bottom of this post for graph paper and graph notebooks that you may like to use for this activity. 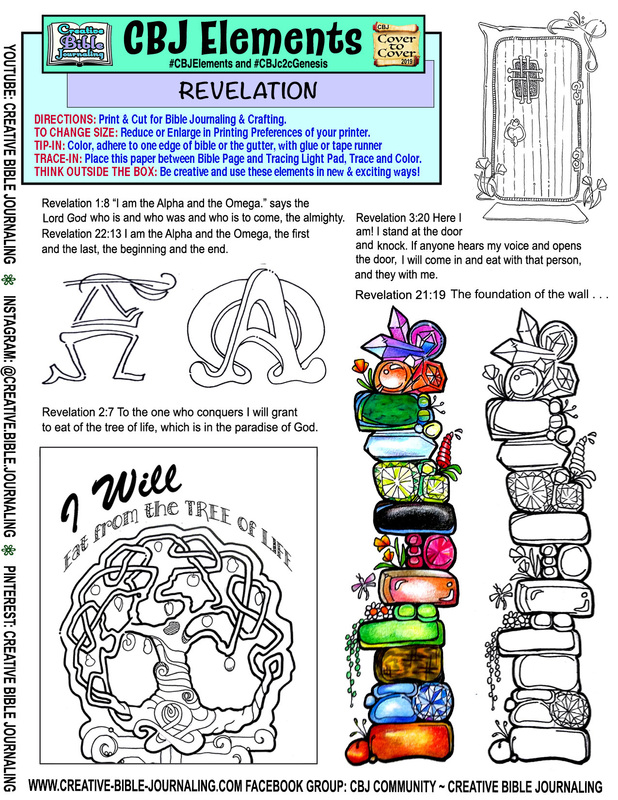 Download Printable with Elements for the book of Revelation. 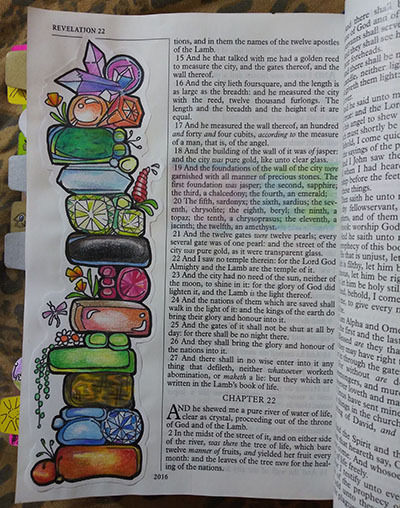 I enlarged the Alpha & Omega symbols and traced them in. 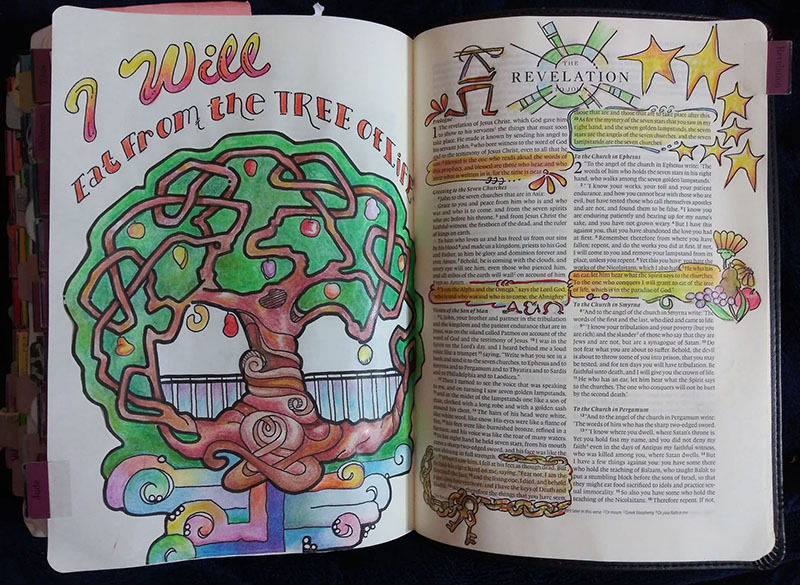 And used the Tree of life Tip in just the way it is on the printable. This is a different design of the Foundation of the Wall. 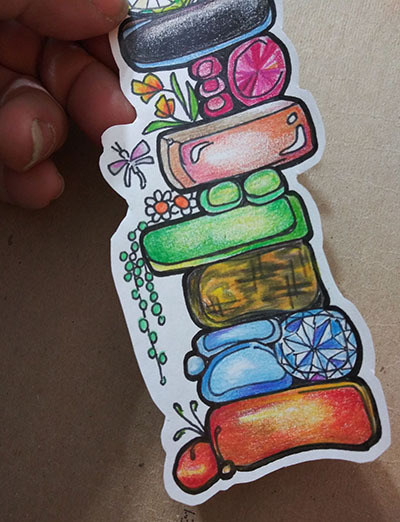 So, use our drawings as INSPIRATION for your own creation. I did use one version of the Alpha & Omega symbols. 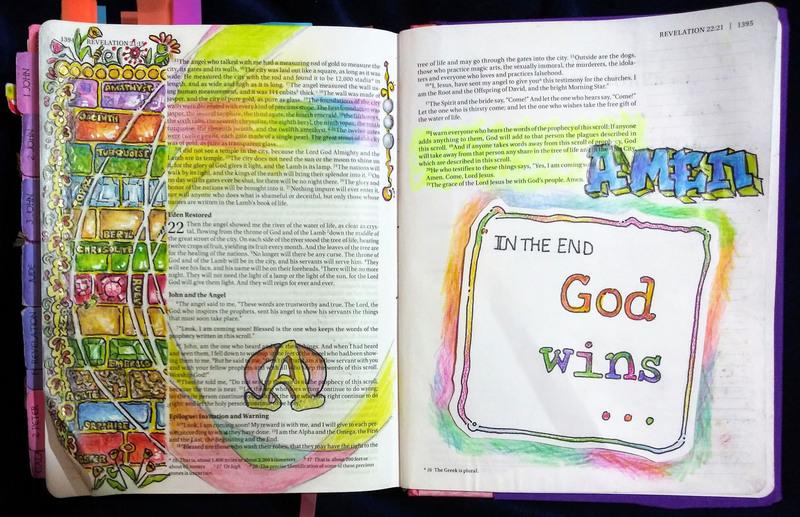 I couldn’t resist adding my own sign at the end of the book… “In the end, GOD WINS”! Enlarged the Tree of Life printable, colored and then cut around the image, leaving 1/8″. Then I tacked it in my interleave bible with a glue runner. After coloring, I cut around image. Showing the foundation of the wall of stones, as Margin Art, adhered with glue runner.